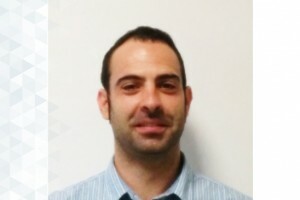 Fernando Castaño is a post-Doc researcher in the Centre for Automation and Robotics of Madrid. He was awarded Electronic Engineering (in 2008 with special mention to the best academic record), a MS degree in Electronic Technology in 2011 from the University of Extremadura, Badajoz, Spain and a Ph.D. degree in Informatics Engineering and Telecommunications from the Universidad Autónoma de Madrid, Spain, in 2016. In 2010, he joined the Spanish Council for Scientific Research (CSIC), where he is currently a researcher at the Centre of Automation and Robotics-CAR working on several research and development projects. His research interests include embedded sensoring systems and monitoring of complex electromechanical processes, publishing several papers on this topics. Self-tuning method for increased obstacle detection reliability based on internet of things LiDAR sensor models. Conductance sensing for monitoring micromechanical machining of conductive materials. Sensors and Actuators, A: Physical. Vol.232. Pages: 163 - 171. ¿Correlation of the Holes Quality with the Force Signals in a Microdrilling Process of a Sintered Tungsten-Copper Alloy¿. Springer Tracts in Advanced Robotics. Vol.15. Number. 9. Pages: 1801 - 1808. Online detection of run out in microdrilling of tungsten and titanium alloys. International Journal of Advanced Manufacturing Technology. Vol.74. Number. 9-12. Pages: 1567 - 1575. Arquitectura e inteligencia computacional embebida para la supervisión de procesos. Aplicación a un proceso de microfabricación..